Published By Law Office of Aimee Hess P.C. 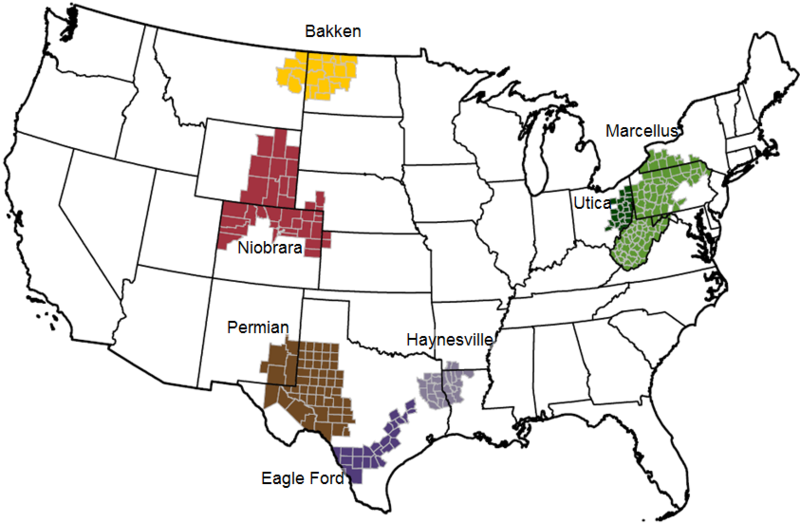 Over the years I have negotiated many leases for mineral owners in the Texas Permian basin and the Eagle Ford Shale. 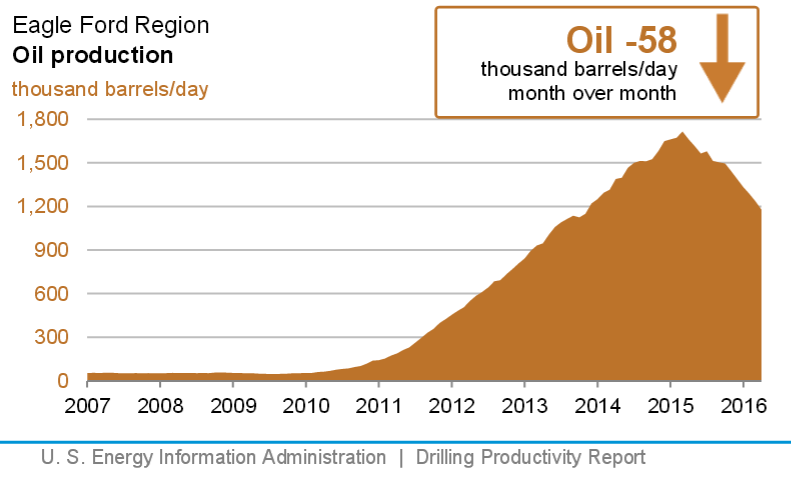 Historically, production in these two areas has set records. 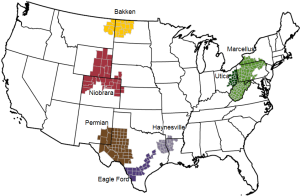 These two shale plays, together with the Bakken, the Haynesville, the Marcellus, the Niobrara and the Utica represent 95% of all United States well and gas production increases from 2011 through 2013. The adjacent map shows the location of these areas. 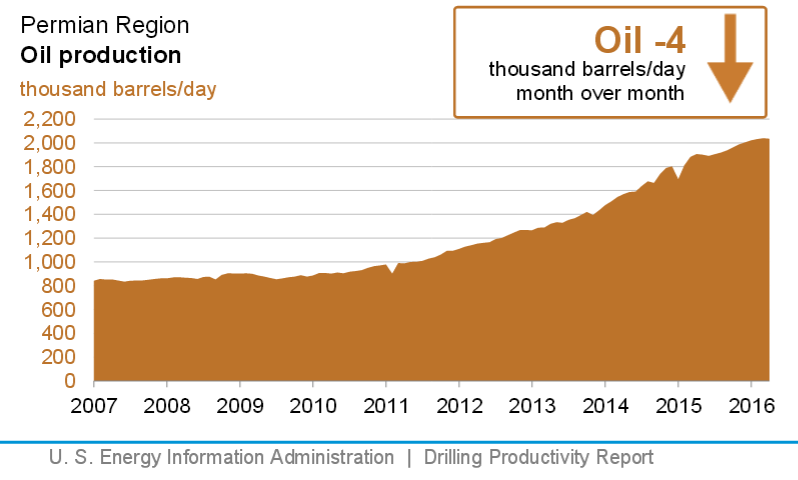 However, the United States Energy Information Administration (the “EIA”), in its most recent Drilling Productivity Report, projects a substantial decline in production for the Permian basin and the Eagle Ford Shale. 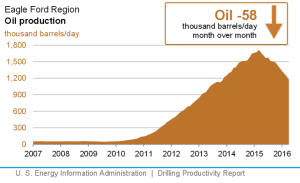 Specifically, the EIA predicts a 58,000 barrel per day decline in April 2016 for the Eagle Ford and a 4000 barrel per day decline in the Permian basin wells. This decrease in production, together with the substantial decline in oil and gas prices over the last year, hits mineral and royalty owners hard. Many mineral and royalty owners are retired and their royalty income supplements Social Security payments. In many cases, they won’t have any source of substitute income. Click here to listen to Aimee Hess on the Capitol Ideas Live radio program, presented by the Alabama Forest Owners Association, on Wednesday, June 17, 2009 discussing Pipeline Easements. Click here to listen to Aimee Hess on the Forestry Views radio program, presented by Canebrake Forestry LLC in Demopolis, Alabama, on Saturday, July 4, 2009, discussing Pipeline Easements. Copyright © 2015 – 2019, Law Office of Aimee Hess P.C.